The question asked about Laurence William Neal, National Country Party (NCP) senator from Victoria, was how did ‘an academic at La Trobe University, a political scientist, a city dweller since the age of 18’ become ‘the representative of a party of farmers?’ Described by the Melbourne Age as ‘soft-spoken, pleasant, and super mild—more like a kindly young Anglican vicar’, Neal’s credentials were atypical of his NCP Senate colleagues, though as the Age acknowledged, he came from a ‘politically committed household’. Born in Wangaratta on 18 July 1947, the youngest of the five children of Charles Neal and Eva Isabel, née Dealy, tobacco farmers of Gapsted, near Myrtleford, Victoria, Neal attended Myrtleford Consolidated School and then Myrtleford High School where he was head prefect and school captain in 1966. Neal enrolled in the newly established La Trobe University in Melbourne, where he was a foundation arts student, majoring in history and politics. He graduated with a Bachelor of Arts degree in 1971, a Diploma of Education in 1972, and a Bachelor of Education in 1974. He taught at Hadfield High School, Pascoe Vale, and was a part-time tutor in education and politics at La Trobe, where he lived at Glenn College; he was deputy head of the college from 1979 until 1983. He was elected to the university’s first standing committee of convocation, serving from 1978 until 1980. Neal joined the Australian Country Party in 1968, founding a branch of the Young Country Party (YCP) at La Trobe while an undergraduate, at a time when the younger members of the party were making themselves felt politically. At the 1970 annual conference of the YCP, the La Trobe–Bundoora branch moved resolutions for the liberalisation of censorship, legalisation of homosexuality, and conversion of Aboriginal reserves into inalienable freehold property for Aboriginal people. By 1971 Neal was the YCP’s senior vice-president, and founding editor of its newsletter, the Young Countryman. In August 1973 he was appointed public relations officer for the now renamed Young Australian Country Party (YACP). In 1974 Neal became involved in disputes over policy and organisation, which led to his resignation together with other members of the YACP state executive committee. Neal stressed that he saw the Victorian party as the most radical of the state branches, often disagreeing with the Queensland branch, seeing himself as part of the Victorian party’s ‘progressive wing’, and supporting an unsuccessful move to change the name of the state party from ‘National’ to ‘Centre’. In 1978 he became a member of the state party’s central executive representing the Melbourne and metropolitan district council, and in 1979, state junior vice-president. Between 1978 and 1980 he was a member of four of his party’s policy committees: foreign affairs and defence, youth affairs, education, and urban strategy. He also served as editor of its monthly newsletter, the National Outlook. In 1975 the state party had changed its name from Country to National Party. The federal party was known as the National Country Party from 1975 until 1982. Neal believed the National Outlook would bridge ‘the communication gap’ in the party. 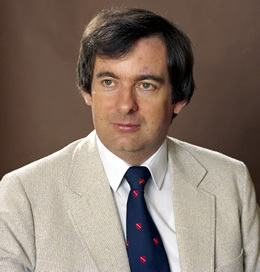 Under his editorship, the journal grew from an initial 2000 subscriptions to 6000 in May 1980. When Senator James Webster was appointed High Commissioner to New Zealand, Neal was one of nine Victorian National Party candidates considered for the resultant casual vacancy in the Senate, following the amendment to section 15 of the Constitution in 1977, which provided that casual vacancies be filled by senators of the same party as that of the departing senators. For the first and last time, the preselection process included meetings held at five locations throughout Victoria before the final vote was taken in Melbourne. Neal defeated a strong field including the state president, two former parliamentarians, and a future state leader and deputy premier (Pat McNamara). Appointed by the Victorian Parliament on 11 March 1980, he became the first Victorian senator to fill a casual vacancy under the 1977 amendment. Publicity about the new senator mentioned his relative youth as a 32-year-old bachelor and his academic background, and listed his interests: tennis, golf, community welfare and youth clubs, adult education, foreign affairs, the national heritage, modern music, films and the National Gallery Society. In his first speech to the Senate on 27 August, Neal extolled the ‘importance of the individual’ and warned against ‘the centralisation of power’. He stressed his interest in education, including higher allowances for university students, and his support of equal opportunity, with particular consideration for the needs of minority groups. Travelling a great deal in Victoria, becoming familiar with community needs and meeting many supporters of his party, he gave the Liberal–National Country Party Coalition Government ‘due and timely notice’ that he would be ‘in constant attendance on their respective doorsteps’ until such time as an adequate overhauling of Victoria’s transport system had occurred. He observed that for ‘many Australians the role and nature of the Senate’ was ‘not clearly understood’. Neal wished to see the strengthening of the effectiveness of the Senate, both as a house of review, and as ‘a counterbalance to [the] excessive powers of the Executive’. He suggested that the revival of the Senate’s role as a States House, ‘a key aspect in its original conception’, would serve ‘the real and diverse interests’ of the states, rather than mere parochialism. Neal asked questions on rural topics, such as the salinity of the Murray River, the export of live sheep, tax assistance for reafforestation, and the diversion of rivers to feed the Darling River basin. He raised the issues of French nuclear tests in the South Pacific, remedial and migrant education, youth employment, the educational powers of the Commonwealth and the states, emergency accommodation, ethnic broadcasting, computer security, and the protection of the Great Barrier Reef (thereby annoying some of his NCP colleagues). Neal’s social liberalism led to friendships with Liberal senators Chris Puplick and Alan Missen. In addition to serving on four parliamentary committees, he was a member of four coalition party committees (on agriculture, education, environment and immigration) while his membership of a parliamentary delegation to Japan in February 1981, investigating industrial, scientific and cultural relations, reflected his longstanding interest in Japanese culture. With his term due to expire on 30 June 1981, on 10 August 1980 Neal was endorsed in the unpromising third place for the forthcoming October 1980 general election, behind sitting Liberal senators Guilfoyle and Lewis, and was subsequently defeated. His valedictory speech was touched with regret, as he remarked on his ‘lightning-like term’ in the Senate, adding that he would now ‘go back to shred textbooks’. He concluded by saying that ‘it is from serving the nation that true happiness can be achieved’. Senate colleagues described him as ‘hardworking and earnest’, and noted his ‘quiet, thoughtful and careful contributions’ to subjects such as education and rural affairs. In November 1981 Neal was appointed federal director of the National Country Party for six months, but chose to return to teaching. He sought party preselection for the Senate on two further occasions in 1982 and 1984. In 1982 he was elected to the Federal Council of the party and senior vice-president of the Victorian branch, of which he became president from 1986 until 1988. Neal’s active involvement in the party ended after its state conference in May 1988. In November 1987 Neal was ordained into the Anglican ministry, subsequently serving as deacon at various churches in the dioceses of Wangaratta and Riverina, including a term as locum minister at Corowa in 2007. Neal remained in public life as a councillor of the shire of Nathalia from 1989 until 1992. He has lived in Wangaratta since 1994, and from 1997 until 1998 served as president of Wangaratta Rotary. Neal had ‘always enjoyed’ teaching, and from 1982 continued his career at Hadfield High School, Galen Catholic College, Wangaratta, Nathalia High School, Wangaratta High School, and Marian College, Myrtleford, teaching history, politics, film and media, geography and English, before retiring from full-time teaching at the end of 2007. He continues to teach part-time. Neal served for two years on the state executive of the Victorian Council of School Organisations, and was also a member of the Ministry of Education Regional Board Reference Group for the Goulburn North-Eastern Region. President of the local branch of the University of the Third Age for four years (and again in 2008), Neal completed an MA in international relations at Deakin University in 1997, obtained a graduate diploma in gerontology from La Trobe University in 2000, and is working towards a PhD in agrarian politics at La Trobe University. He has been a member of the Australian College of Education since 1980, and a member of the Australian Institute of International Affairs since 1981. Neal remains a member of the National Party, is a member of the Australasian Study of Parliament Group, and was a Commonwealth Parliamentary Research Fellow in 1993. His study of the early history of the Country Party in Victoria, entitled Farmers into Politics: The Rise of the Country Party 1914–1928, is being prepared for publication. Drawing on his short but intense experience of the Senate, Neal retains a strong belief in the civilising value of parliamentary life, provided that parliamentarians keep close links with their community. Information provided by Laurence Neal in correspondence, and in conversation with Geoffrey Browne on 31 Dec. 2007, has been used throughout this entry; Age (Melb. ), 17 Oct. 1980, p. 16, 28 Oct. 1980, p. 20; National Outlook (Melb. ), Sept. 1978, p. 2; Letter, Joan Price, Convocation Officer, La Trobe University, to Neal, 14 Dec. 1978 (held by L. Neal). National Outlook (Melb. ), Sept. 1978, p. 2; Countryman (Melb. ), 2 July 1970, p. 2, 15 July 1971, p. 2, 18 Feb. 1971, p. 3, Aug. 1973, p. 3; Age (Melb. ), 17 Oct. 1980, p. 16; National Outlook (Melb. ), July 1978, p. 6, June 1979, p. 8, Sept. 1980, p. 4, Sept. 1979, p. 1, June/July 1980, p. 2, May 1980, p. 2; Press release, National Country Party, Federal Secretariat, 14 Mar. 1980; National Outlook (Melb. ), Mar. 1980, p. 1; Age (Melb. ), 12 Mar. 1980, p. 16, 20 Feb. 1980, p. 4; CT, 19 Mar. 1980, p. 12. CPD, 27 Aug. 1980, pp. 453–6, 26 Mar. 1980, pp. 1019–20, 23 Apr. 1980, p. 1698, 21 Aug. 1980, p. 216; Australian (Syd. ), 4 July 1980, p. 2; CPD, 6 May 1981, p. 1716, 8 Apr. 1981, p. 1207, 22 May 1980, p. 2634, 9 Apr. 1981, p. 1373, 1 May 1980, pp. 2013–14, 11 June 1981, p. 3018, 9 June 1981, p. 2798, 26 May 1981, pp. 2063–4, 14 May 1980, p. 2185, 15 Apr. 1980, p. 1443, 14 May 1981, pp. 1967–8; Age (Melb. ), 17 Oct. 1980, p. 16; CPD, 12 June 1981, pp. 3264, 3253, 3255. Chronicle-Despatch (Wangaratta), 30 Nov. 1981, p. 3; Letter, Sir Robert Sparkes, State President, National Party of Australia, Qld, to J. D. Anthony, Leader of the NCP, 3 Dec. 1981 (held by L. Neal); National Outlook (Melb. ), Feb. 1982, p. 2, Oct. 1982, p. 1, Oct. 1984, p. 3, May 1982, p. 3, May 1983, p. 4, April 1984, p. 6, Nov. 1985, p. 8, July 1986, pp. 1–2; Age (Melb. ), 17 Oct. 1980, p. 16; Chronicle (Wangaratta), 17 May 1993, p. 5. This biography was first published in The Biographical Dictionary of the Australian Senate, vol. 3, 1962-1983, University of New South Wales Press Ltd, Sydney, 2010, pp. 100-103.